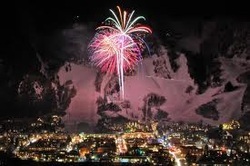 Well it is 2011 and I want to wish everyone a happy new year! It is also my blogs one year birthday since it's inception so happy birthday blog. So it's the start of another year which is always exciting. A chance to start again or make some resolutions (I have as of yet not made any). There are the usual thoughts of exercise more, stop smoking, slow down drinking etc but I'm still trying to think up something a little special. So for Xmas I treated myself to a Kindle. Anyone who does not know what that is should look into it because they are most definitely the future. Basically the Kindle is an electronic book reader where it can store about 1400 books on the device and so you read off it, subscribe to papers, blogs etc. It is very very neat and a well worth it purchase. So the first Xmas and New year in America have just passed and it was a thoroughly enjoyable season. Lots of drink, parties and good times. It seems like it went too fast as always but that is just me getting older I feel. To all the loyal people who followed my blog in 2010, I hope you will continue to do so in the next coming year.